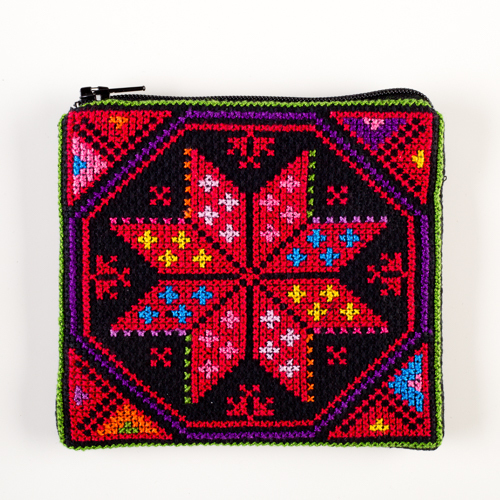 Traditional 'Bethlehem Star' motif adorns this handy coin purse. Made by women artisans from small villages in the Bethlehem area. Zipper closure, lined inside.